Lab Mission: To harness the power of microbes to develop new technologies that benefit society and the natural environment. 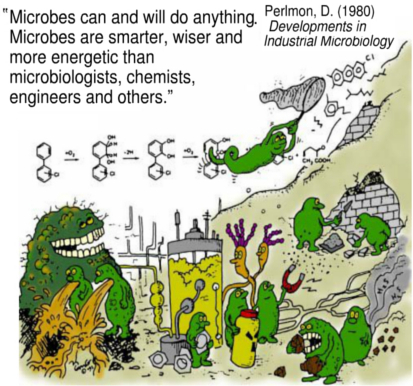 Our Research: Environmental microbiology, industrial microbiology, biodegradation, bioremediation, biocatalysis, synthetic biology, mobile genetic elements, plant / soil / microbe interactions. Our Expertise: Enrichment and isolation of environmental bacteria, genetic & biochemical analysis of bacteria, gas chromatography of hydrocarbons and chlorinated hydrocarbons, heterologous expression of bacterial enzymes esp. monooxygenases, design of improved genetic systems for non-standard bacterial hosts.